Going from an idea to a sellable plastic part within a week. It started as a private message on bimmerforums requesting that I produce something called "dohickies". The "dohickies" are roof rail end caps for the BMW Z3 MCoupe and Z3 Coupe. They are hard to find and disappear easily. To purchase new, it requires purchasing a whole new roof rail solely for the plastic end cap. As both of mine were intact and not missing, I decided to take on the small challenge. The final 3D printed part on the left vs. the OEM plastic end caps on the right. First step, scanning the plastic end caps with a 3D scanner to get an accurate digital reproduction of the part for reverse engineering or measuring the part and reverse engineering it manually. Both require skills at a CAD program like SolidWorks or Rhino5. Since we have a decent laser based 3D scanner at our shop, I scanned one of them knowing that the other side is a mirror image. After cleaning it up and getting rid of the extra data, I ended up with a digital dohickey. After scanning the part and inspecting the roof rail closely, I decided to take a few design liberties over the original that would make prototyping and production of the part quick and make them stay in better. Loose dohickies are never a good thing. Rapid prototyping is quite amazing. It allowed me to do all the R&D in a single day. 3D printers have come a long way since first being invented in the 80's and the market for them has exploded in the past couple of years. Tweaking the design little by little to get the part to fit right is an essential part of the process and having a 3D printer makes it much easier. I went through 5 iterations before finally landing on a part I was happy with. Starting from the top OEM part down to the final reverse engineered dohickey design at the bottom. 3D printing was the quickest option to manufacture the parts as well. Since we have a filament extruder 3D printer, they don't come out clean and need quite a bit of work to make them ready to sell. Since the parts are small, it involves adding plastic to prevent sanding too deep and lots of sanding, followed by paint. Hot off the 3D printer ready to be finished by hand. They are currently available in our shop if your dohickies are missing. With summer drawing nearer and nice driving days getting more frequent, it was nice to finally finish with the 6 speed swap on the MCoupe and take it out for a spirited drive this weekend to test everything out but more of that at the end. Swapping out to a lightweight flywheel, HD pressure plate and a clutch with a much higher holding capacity is not something that most people do for street driven cars but ClutchMasters does a very good job with there dual use street/race setups. The FX350 Formula Button clutch, pressure plate and aluminum flywheel is very streetable and holds extremely well for quick shifts. Getting the new transmission installed was a tight fit. It's quite a bit wider at the back and it's longer as well but with the help of a friend and a jack, it really wasn't too bad. With the 5 speed on it's mount, I could fit my fingers in-between the base and the transmission tunnel. With the 6 speed, I can barely shove a piece of cardboard in-between the tunnel and transmission. I sent off my OEM shift support and selector rod to Zionsville AutoSport to have a new one for the new transmission made as they have most of the measurements already and are extremely good at welding aluminum (their aluminum expansion tanks are works of art). Almost a month later, the parts arrived. And of course, it's the small details that make this project worth doing. With the swap being an OEM plus type of project of course I'm not going to use the stock 5-speed lighted shift knob insert with my lighted ZHP knob so a friend made a query on ZPost and a very kind forum member shipped out a knob from a Z4 MCoupe for free. After pulling out the insert and a few coats of black paint on the back to get rid of any light bleedthrough due to removal, it was ready to stick in the knob. My first thoughts post swap are "why didn't they come like this from the factory?" There's a few reasons but it really is a very solid upgrade and worth the money to do it if you plan on keeping your MCoupe for a while like me. The upshifts are quicker and more solid, the heel-toe downshifts are easier and the car itself is quicker without really changing the top speed. It really is a much better setup than the stock one for a track and autox without loosing any of the streetablilty of the car. When it came to the original BMW M-Coupe, the options available for order were very limited. It only came with one available transmission throughout its 4 year production run. The awkwardly spaced ZF 5-speed. It works fine for a stock application and normal street driving. It shifts very precisely and accurately as long as the shift pins aren't on their way out. But it leaves something to be desired for the performance minded enthusiast. With first gear being a little too tall for the rest of them and 5th gear being one to one, this limits your available options for swapping out just the final drive while maintaining the streetability of the car. If you go too short with the final drive, you lose fuel economy and highway comfort. That's where the ZF 6 speed out of a e46 330i comes in. With a more evenly spaced gear set and a 6th gear that's 0.85 to one it allows for a shorter final drive ratio while maintaining highway comfort. Unfortunately, it's not a direct swap and some parts have to be fabricated. I was fortunate enough to find an almost complete "kit" that included a 3.91 Torsen diff put together by the owner of Clownshoe Motorsports. He recently pulled it out of his MCoupe and he didn't put very many miles on the wear items. It came with pretty much all of the necessary odds and ends and a few extra parts as well. First up, it was removing the differential and swapping speedometer wheels and covers. A big thanks to Jonathan Thayer of BimmerDiffs for running an informative site on BMW differentials and specifically the removal and replacement of the Z3 differential. Since I'm replacing everything in between the flywheel and the differential, I went ahead and removed the driveshaft and exhaust from the headers back to make for a little bit more room under the car before removing the differential. The MCoupe, exhaustless, wheelless and diffless. Removing and replacing the differential requires dropping the rear subframe a bit. 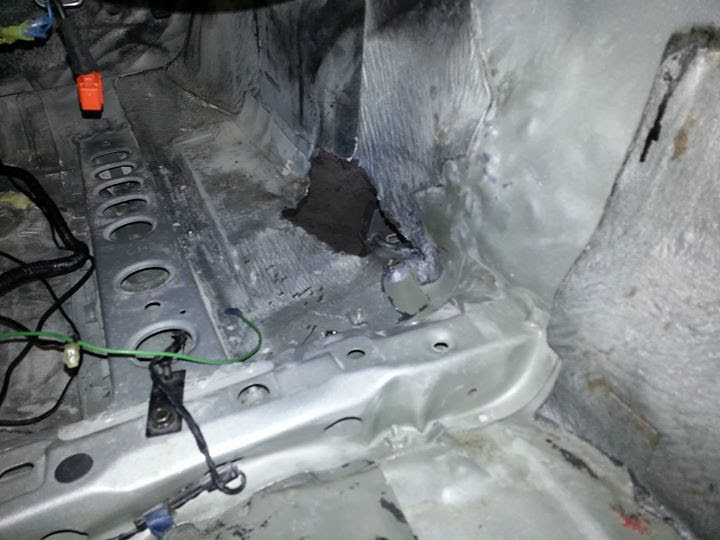 The differential came out with surprising ease but one of the subframe bushings did put up a fight. For anyone who has worked on the rear end of a semi-trailing arm BMW, removing/replacing the subframe bushings can be the most aggravating part of the whole process. Unbolting the rear sway bar from the frame of the car is not necessary for just removing/replacing the diff but it does help when lining everything back up for re-installation as it allows for more movement of the subframe. The two differentials out of the case swapping speedometer wheels. On the left, the 3.91 Torsen unit and on the right the stock 3.23 clutch pack unit. After installing the 3.91 differential, it was time to remove the transmission, pressure plate, clutch and flywheel. The e46 transmission has a shorter input shaft and different spline. This requires a new flywheel, pilot bearing, clutch and pressure plate. There is no need to remove the old pilot bearing that sits in the crankshaft because the new one sits in the flywheel retainer and doesn't interfere with the old one. The different input shaft splines. 6-speed on the left. 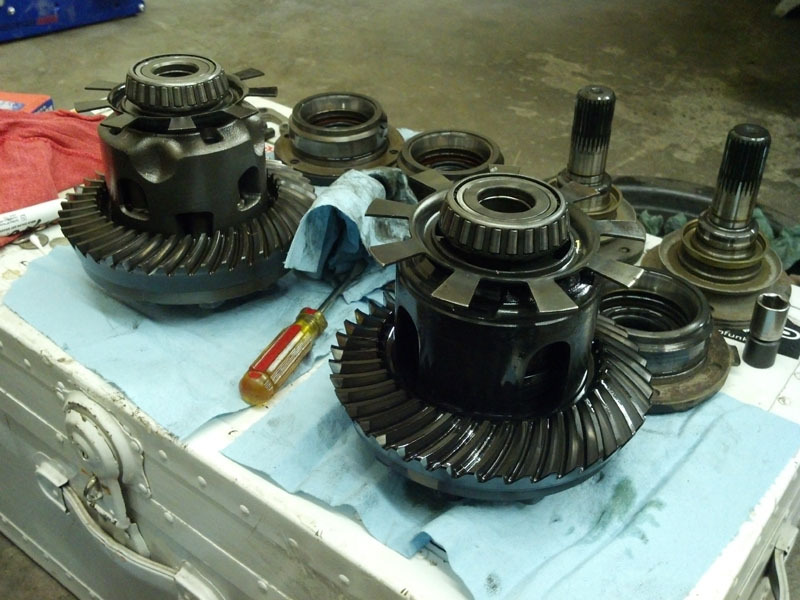 It is a fairly standard transmission removal. The only "hard to find" thing I needed was an E11 Torx socket as most standard E-Torx sets don't come with one. A few of the bolts are hard to get too but not unreachable with a common set of tools. I had to improvise a little bit removing one of the bolts because I broke my 3/8" u-joint removing a rusted on e30 transmission a while ago and hadn't replaced it yet. With the removal pile as big as it's going to get and the install pile getting smaller, it's a wonderful sight. One thing I will not miss from the stock setup is the dual mass flywheel. Rather than having a sprung clutch disk, BMW was using a solid clutch disk and a dual mass flywheel. The dual mass flywheel is a great idea in concept and it works great when new but after it gets clogged up with clutch dust it just creates problems. All of the old parts. Thanks to Motoring Con Brio For Mentioning Us! 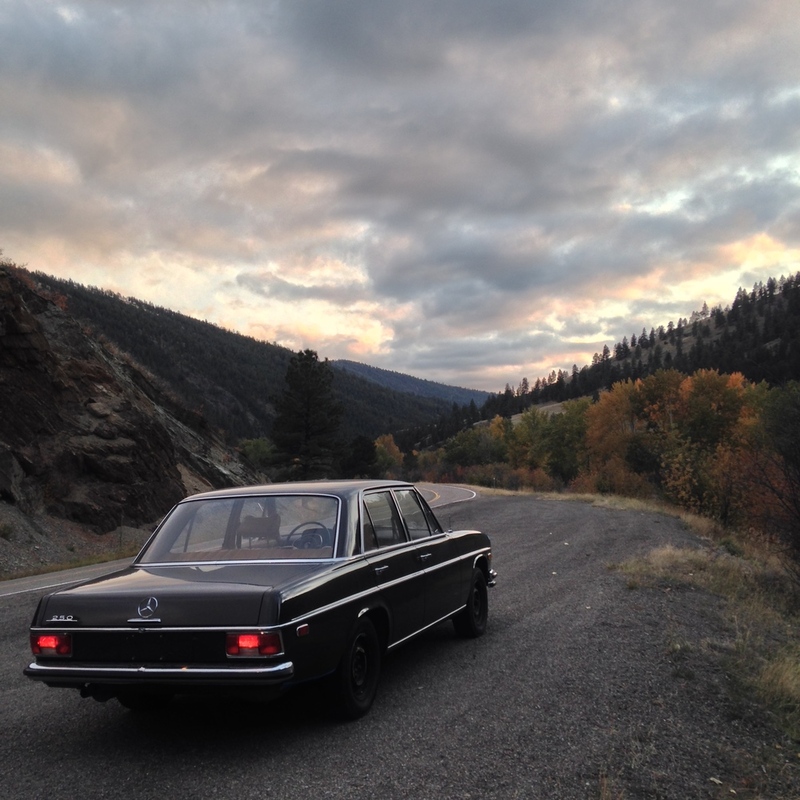 The folks over at Motoring Con Brio were nice enough to feature us on their site for a few words about the W114 Mercedes-Benz. Please click through to their site and have a read! Their regular round up of photos is 99% of my screen saver.